The Prophet Muhammad and the Christian priests of Mount Sinai – For Christians, To be Born Again in Islam! The Holy Prophet Muhammad, may peace be on him, was the greatest pioneer of religious freedom and tolerance. When we say it, we literally mean it, for it would take history more than 1000 years to produce anything, remotely equal, in generosity and tolerance, to the covenant that he gave to the Christian monks of Mount Sinai as well as to those from Najran and to the Christians in general. By the grace of Allah we have found the complete record of the Covenant in Christian sources. 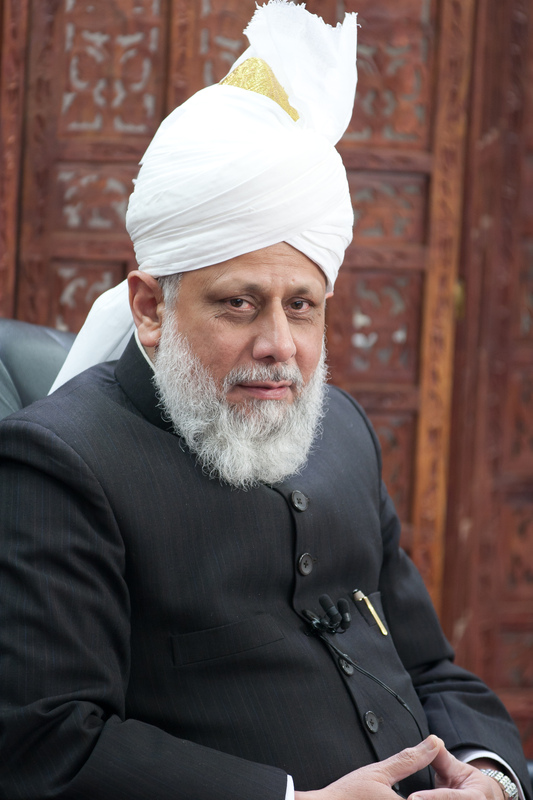 The Holy Prophet Muhammad (saw) was the greatest pioneer of religious freedom and tolerance. When I say it, I literally mean it, for it would take history more than 1000 years to produce anything, remotely equal to the covenant that he gave to the Christian monks of Mount Sinai and to the Christians in general, in generosity and tolerance. Charter of Privileges to the monks of St. Catherine Monastery in Mt. Sinai, given by Muhammad, may peace be on him. By the grace of Allah I have found the complete record of the Covenant in Christian sources, in the above mentioned book of a noble writer, John Davenport:“In proof of the correctness of the view thus taken by the historian of the tolerant character of Mohammed, the following public document is here inserted, being extracted from a work entitled ‘A Description of the East and other Countries,’ by Richard Pococke, Bishop of Meath, and published in 1743, vol. i. p. 268. The high character of its author for piety, integrity and learning is a sufficient voucher for the authenticity of the document which is as follows :—The Patent of Mohammed, which he granted to the Monks of Mount Sinai, and to Christians in general. 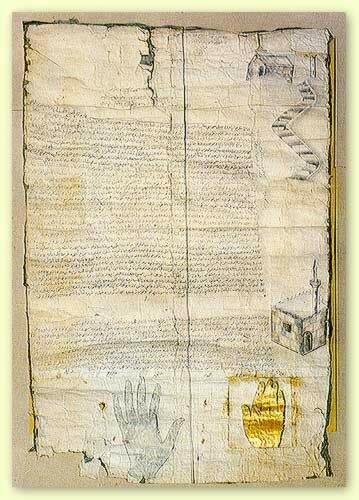 This present was written by the leader, the successor of Ali, the son of Abu Thaleb; the prophet marking it with his own hand at the mosque of the Prophet (on whom be peace!) in the second year of Hegira, the third day of the month of Machorem. 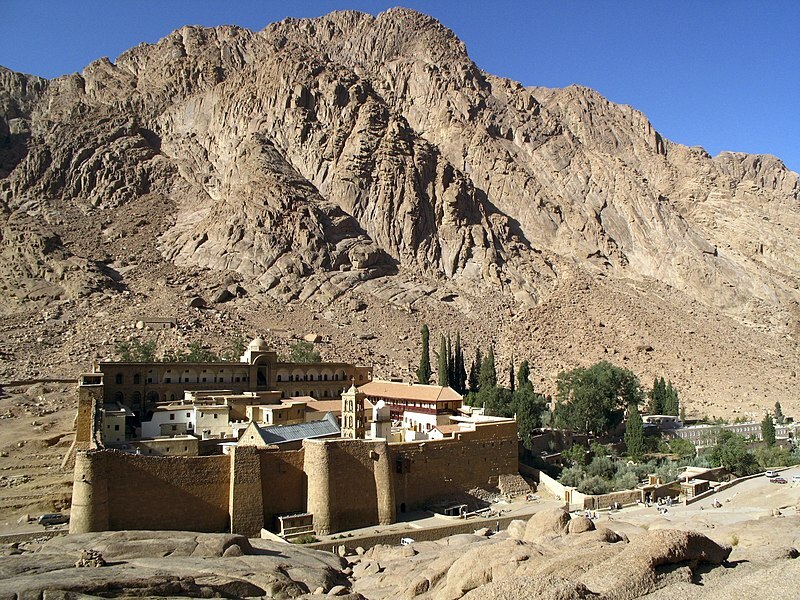 Saint Catherine’s Monastery (Greek: Μονὴ τῆς Ἁγίας Αἰκατερίνης) lies on the Sinai Peninsula, at the mouth of an inaccessible gorge at the foot of Mount Sinai in Saint Katherine city in Egypt. The monastery is Greek Orthodox and is a UNESCO World Heritage Site. According to the UNESCO report (60100 ha / Ref: 954) and website hereunder, this monastery has been called the oldest working Christian monastery in the world – although the Monastery of Saint Anthony, situated across the Red Sea in the desert south of Cairo, also holds claim to that title. “In 628 Muhammad (s) granted a Charter of Privileges to the monks of St. Catherine Monastery in Mt. Sinai. It consisted of several clauses covering all aspects of human rights including such topics as the protection of Christians, freedom of worship and movement, freedom to appoint their own judges and to own and maintain their property, exemption from military service, and the right to protection in war. John Davenport. An apology for Mohammed and the Koran. 1869. Pages 147-151. The book is available on Archive.org.